Climb the very narrow set of metal stairs. 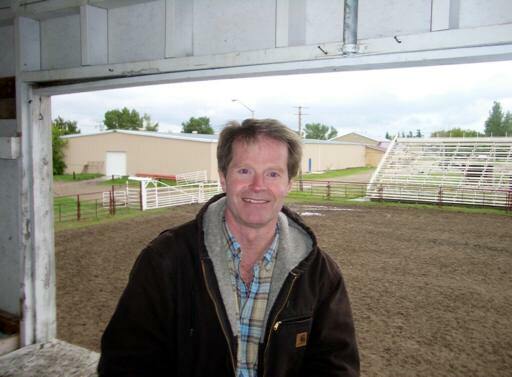 Welcome to the rodeo announcer’s box! This is a great spot to look over the barrel racing and bull riding venues, the spectator stands, and the dropped-hat site. Even Jack and Lureen’s parking spot can be viewed from this elevated perch. 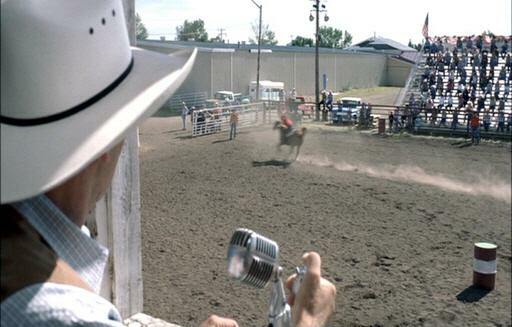 Brokeback’s rodeo announcer was Duval Lang. Lang was already versed in Larry McMurtry’s work, having played a small role in the television miniseries Lonesome Dove.